Here are a few other photos and drawings of the bow lathe in action. This is truly fascinating to watch and I felt like I had to share this! I recently got an interesting piece into the shop. I really did not do that much to it, but I thought it had a lot of different points of interest that were worth sharing. The piece is what is referred to as a tall chest and was probably made in Pennsylvania in the last quarter of the 18th century. Chests like these were made in that region at this time and several characteristics led me to recognize it as a Pennsylvania piece. The chest consisted of three short drawers at the top. Below was a set of two short drawers. Below these were four long drawers. All of the drawer fronts graduated nicely and consistently from top to bottom. 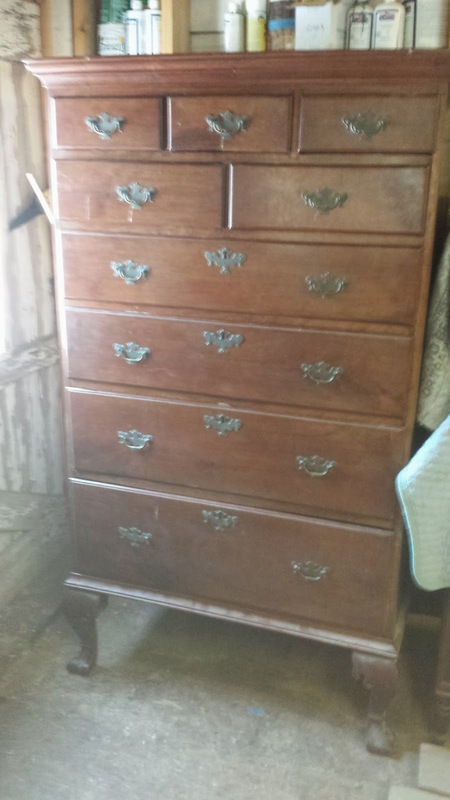 I make note of the drawer configuration because it is seen in other contemporary tall chests from Pennsylvania. 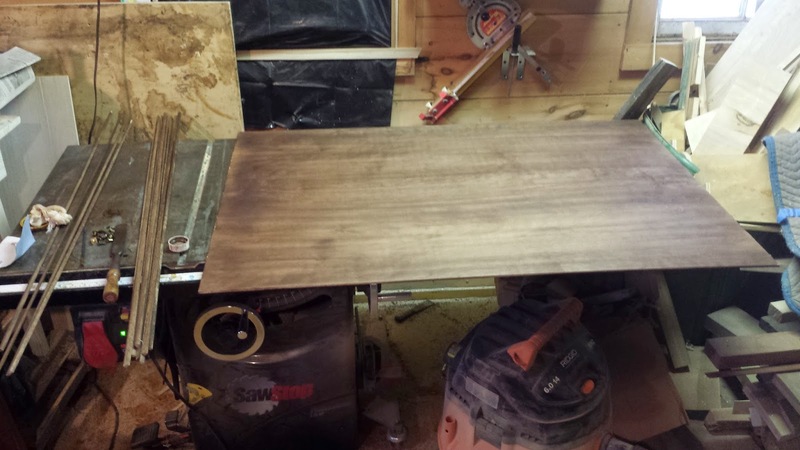 Walnut was used as the primary wood and Oak and pine were used as secondary woods. 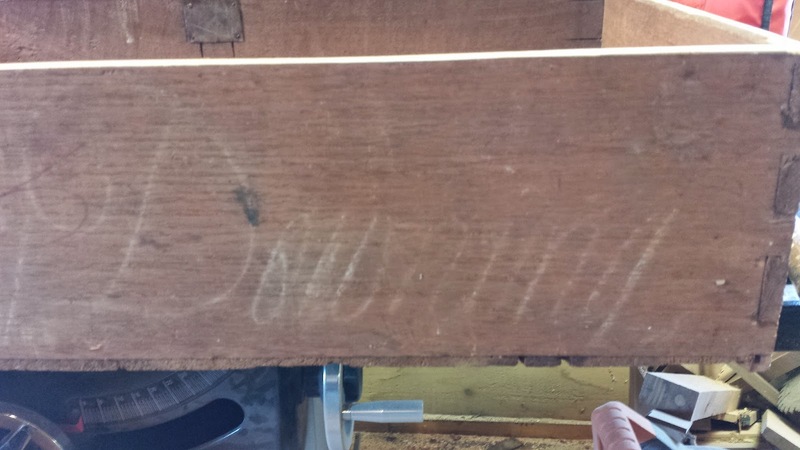 There was the presence of Poplar in one drawer and in the back, but I feel that in both instances the wood was used in a repair setting and was not original to the piece. 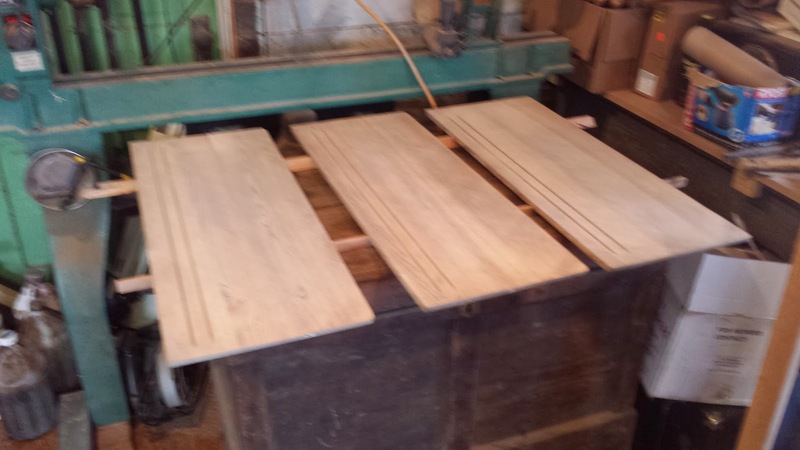 Poplar is not unheard of in Pennsylvania furniture, but the other two woods are often seen as secondary wood choices. This piece has seen several alterations in its day. The feet would have originally been ogee bracket feet and evidence of the original feet was found on the piece. 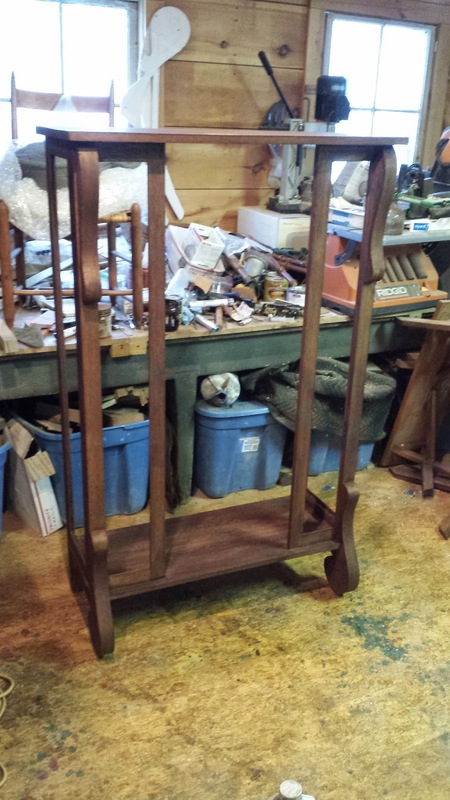 At some point these feet were replaced with taller cabriole legs that are more consistent with a high boy. These feet are not original, but were hand made and at some point attached to the chest. I suspect that the crown and base molding were also replaced at some point as well. 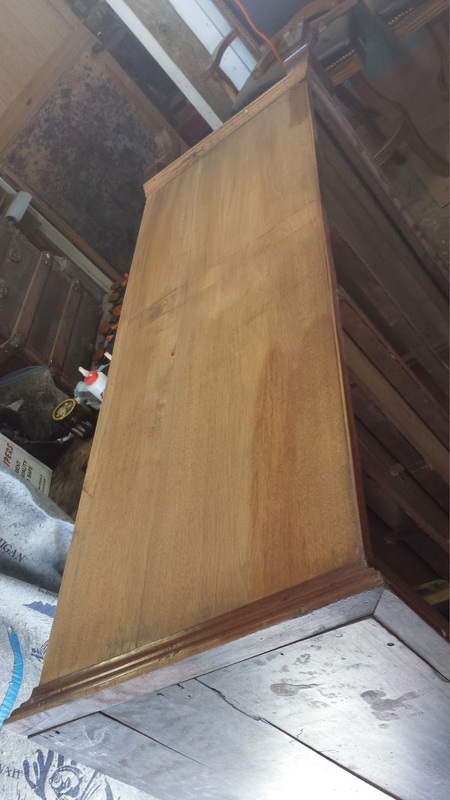 Below is a photo of the chest that I took when it entered my shop. One of the things I was hired to do was to clean the existing finish. To do this I needed to remove the hardware. I knew by looking at the piece that the hardware was not original. this was confirmed when it was removed. 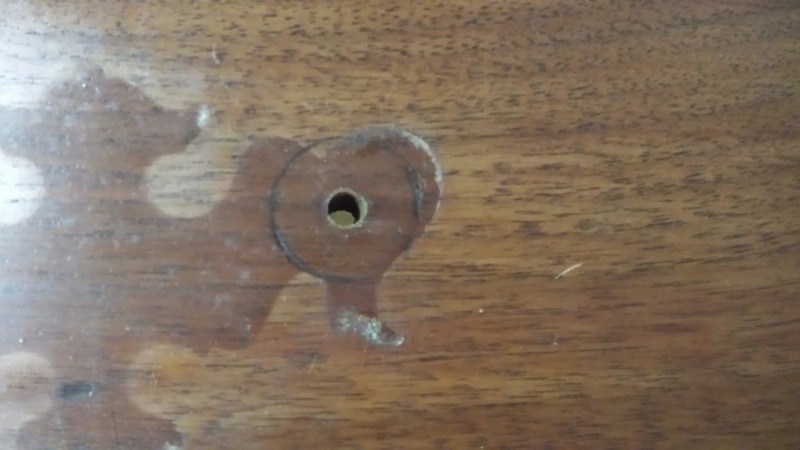 Below is a photo of an escutcheon hole. 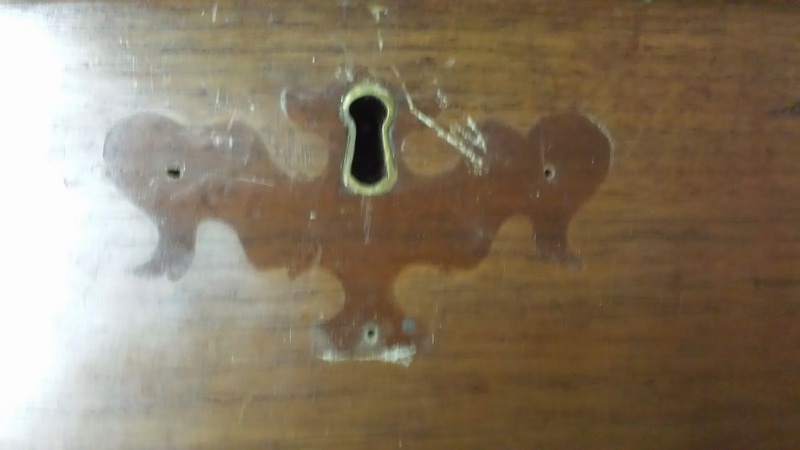 The original escutcheon is seen inset in the drawer front. Around it is the shadow of a Chippendale style escutcheon plate that was on the piece. When I removes the pulls I saw this ring around the post holes. 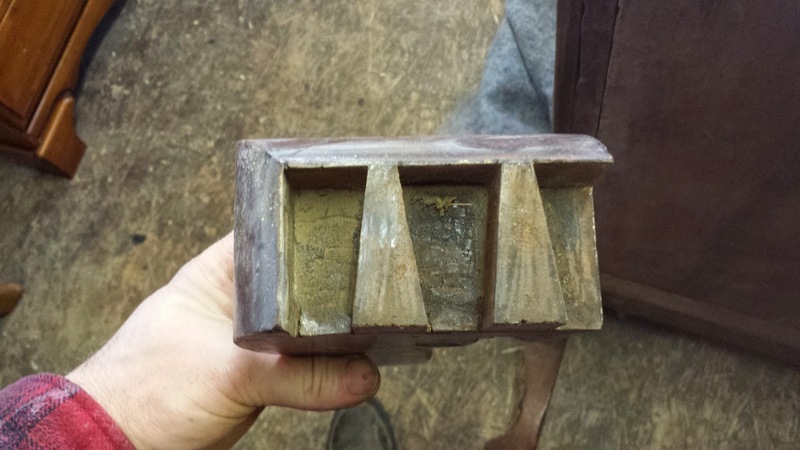 This would have been made by the back plate for a rosette pull, which may have been the original pull on the piece. 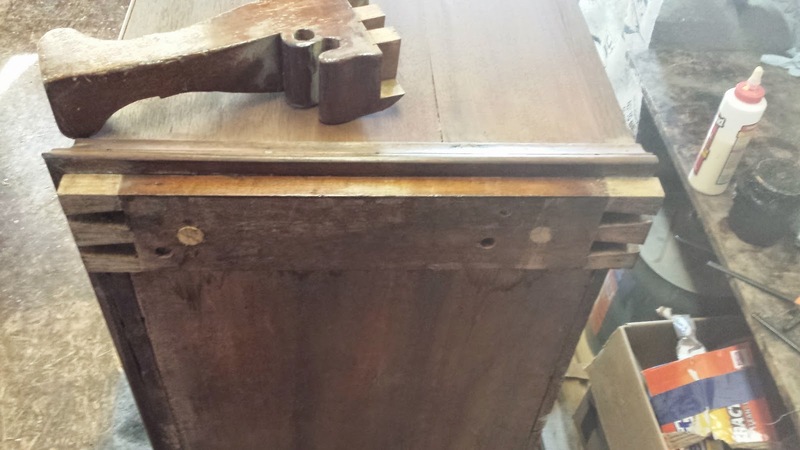 One of the most interesting features of this chest was the presence of intact "Quaker" or "Spring" locks. Quaker locks were used in lieu of mechanical locks on the upper short drawers. The way that a Quaker lock works is that there is an access hole in the dust cover below the drawer that has the lock, large enough to put your finger in. 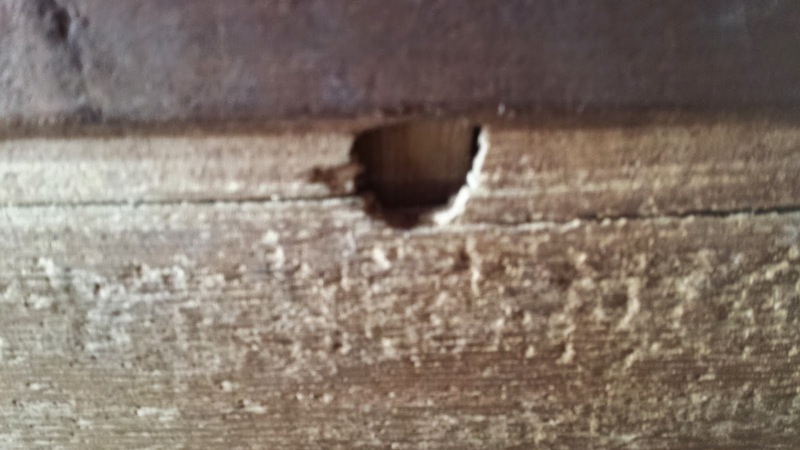 One of these holes in shown in the photo below. 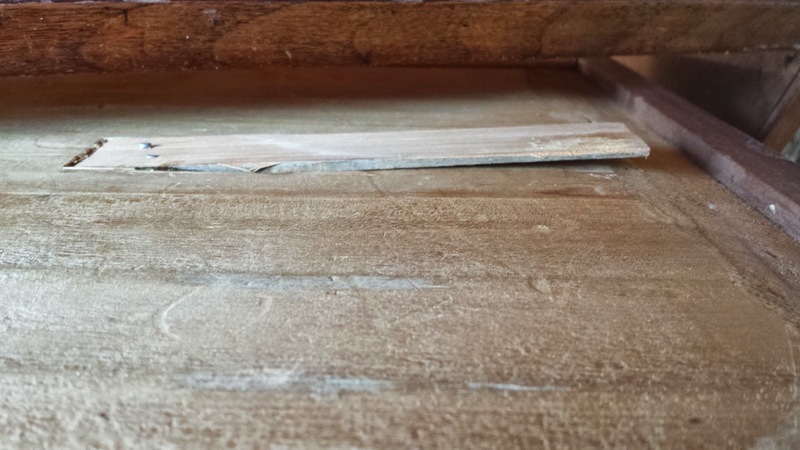 Directly above the hole is a board nailed into a inclined recess on the drawer bottom. The board is flexible and can be pushed up. 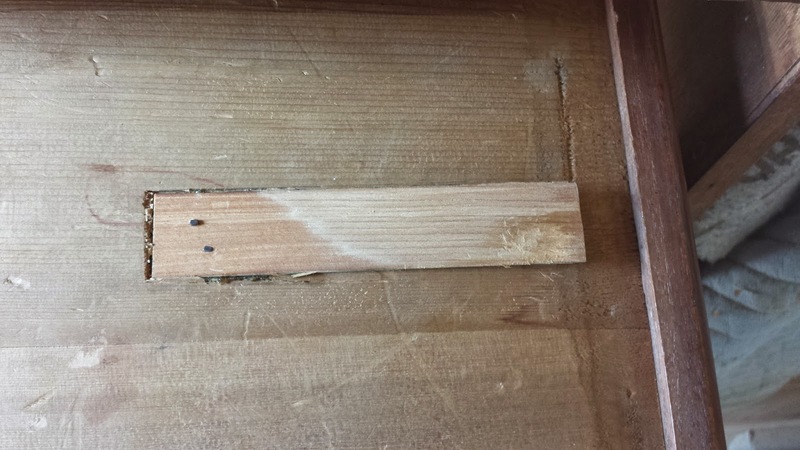 When it is in place, the end grain of the board pushes against the back side of the drawer divider, preventing the drawer from opening. 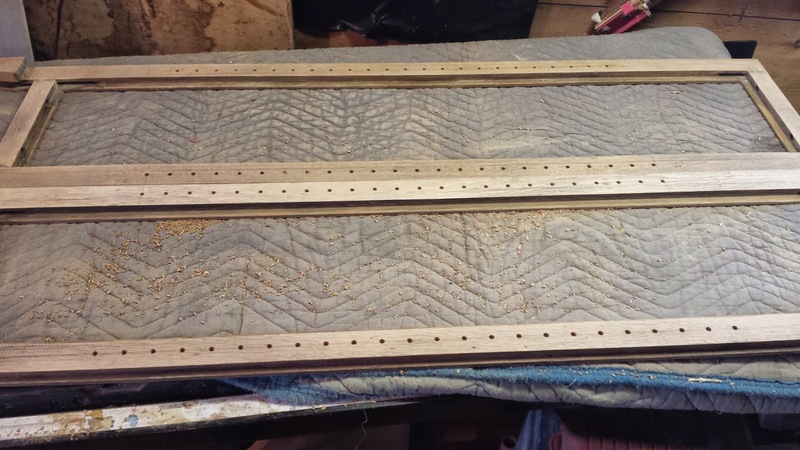 when a finger pushes the board up towards the underside of the drawer bottom, the end grain of the board clears the drawer stretcher and the drawer opens. Basically, to open the drawer above, you need to access it by opening the drawer below. In theory, one could put one mechanical half mortice lock on the bottom drawer of a chest and lock the rest of the piece with Quaker locks. In this instance, the short drawers were locked with Quaker locks, while the four long drawers had mechanical locks. Back in the day, The ability to lock your furniture was important, and often the only way of securing the contents. Mechanical locks were expensive and also a commodity that needed to be bought in a city center. These Quaker locks were and affordable and easy to manufacture lock that in this case saved the expense of five locks. 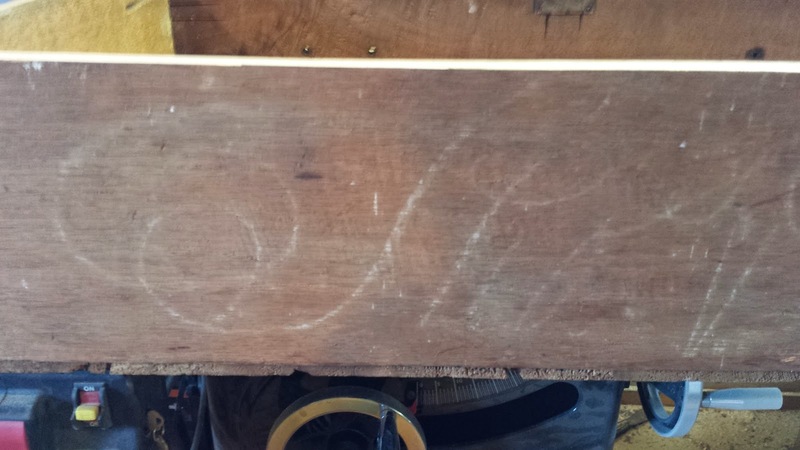 Below are a few photos of the Quaker lock on the underside of one of the drawer bottoms. The chest had sustained water damage on one side. The finish was not original to the piece so I removed it and replaced it with a new finish. Below are some photos of the water damage. It is seen as the light streak going down the case side. This was where the finish had peeled off of the case entirely. As stated above, the case had been cut in two at some point. It was later patched as seen in the photos below. To remove the finish from the side I taped off the molding as seen below. 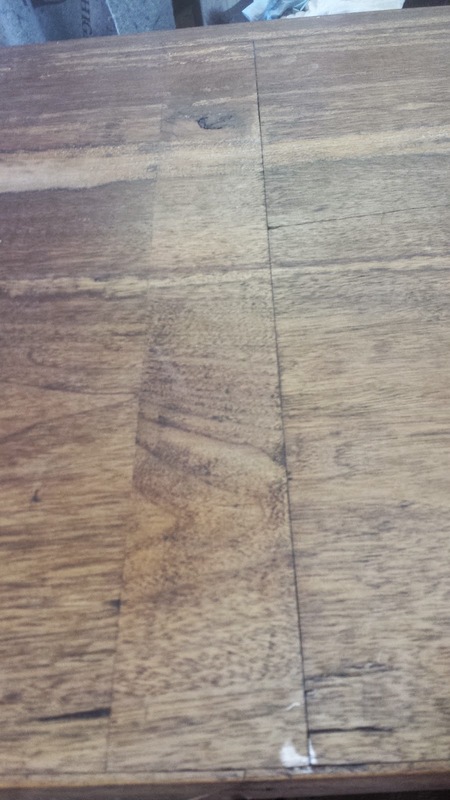 I then removed the finish and sanded the surface lightly to remove any finish residue. 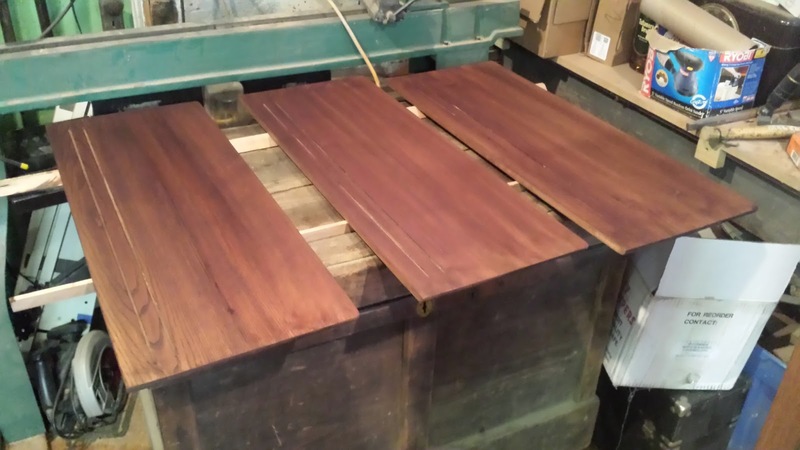 This next photo shows the case side with a few coats of shellac on it. It took several coats to match the sheen of the rest of the case. Three of the four replaced feet were loose and needed to be tightened. The feet were attached to a board running front to back on either side of the case bottom. 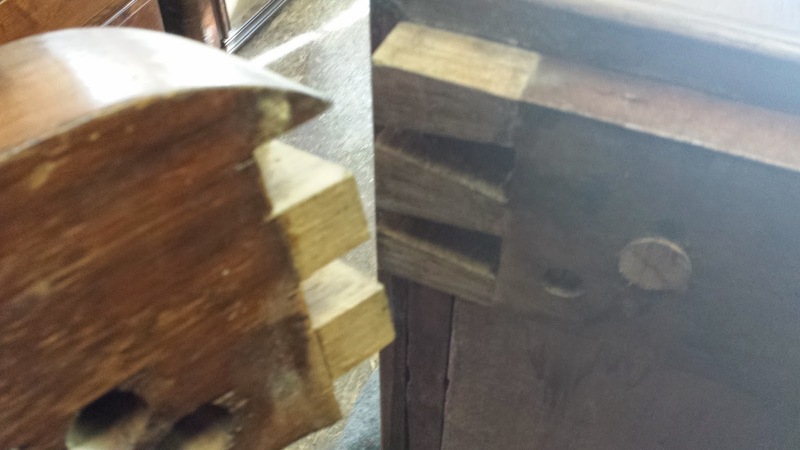 They were attached with beautiful dovetails that I cleaned and reglued in place. because the joinery was tight, I put the piece on its feet and let the weight of the case work as a clamp as the new glue set. Below are a few photos of the legs removed from the case. One of the nicest discoveries about this piece was the presence of a signature. 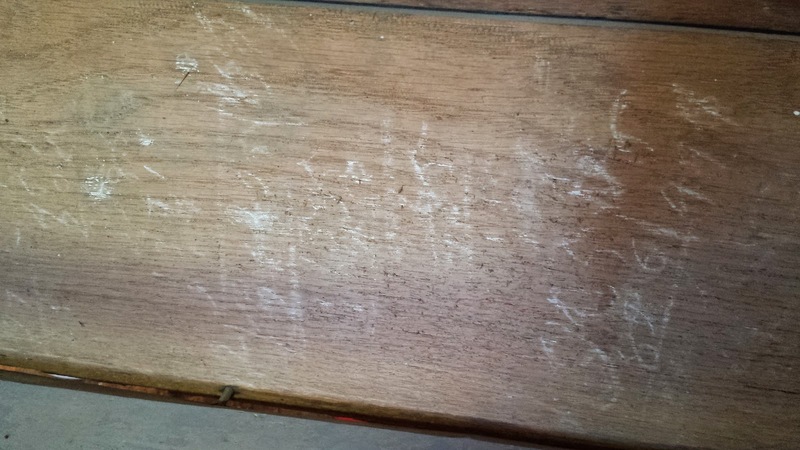 It was boldly (and largely) written on the back of one of the long drawers in chalk. after looking at it for some time I believe it said "Tho. V Downing", although I believe the V was not meant to be part of the signature. The last name of Downing was the clearest part of the signature. The first name was a lot less clear. here are a few photos of the signature followed by a cropped photo that I manipulated and reversed to try to get the signature clearer. In addition to the signature, there was a lot of math written out on the interior face of a back board. 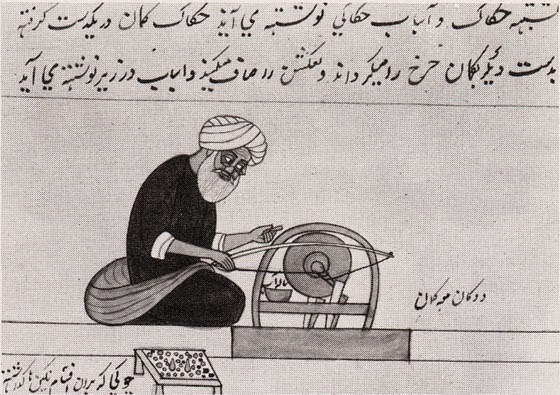 Pencil and Paper was a precious commodity in the 18th century. 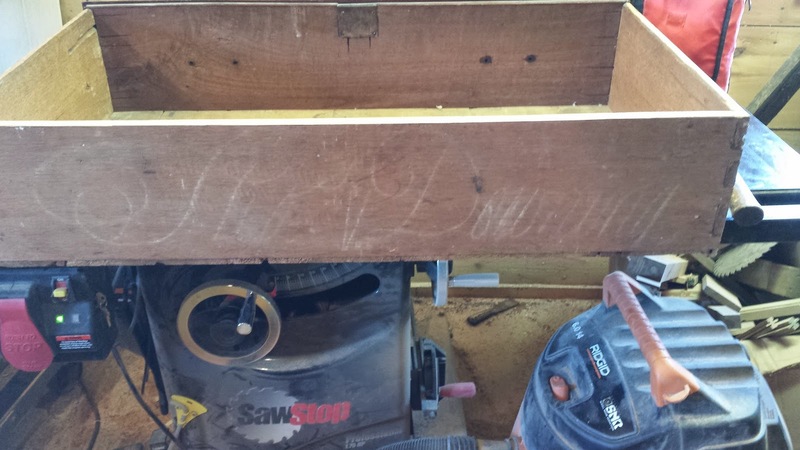 It was far cheaper to write on what was at hand.I find myself writing notes on scrap pieces of wood all of the time. While none of the math was legible, there was quite a bit of it. either it was the equations that worked out the dimensions of the chest, or maybe it was some accounting work! Whatever the reason was, it is always nice to see these kinds of things on a piece, as they give a small glimpse into the mind of the maker. After the piece was cleaned and the one side brought up to speed with the rest of the case I polished and waxed the case and drawer fronts. 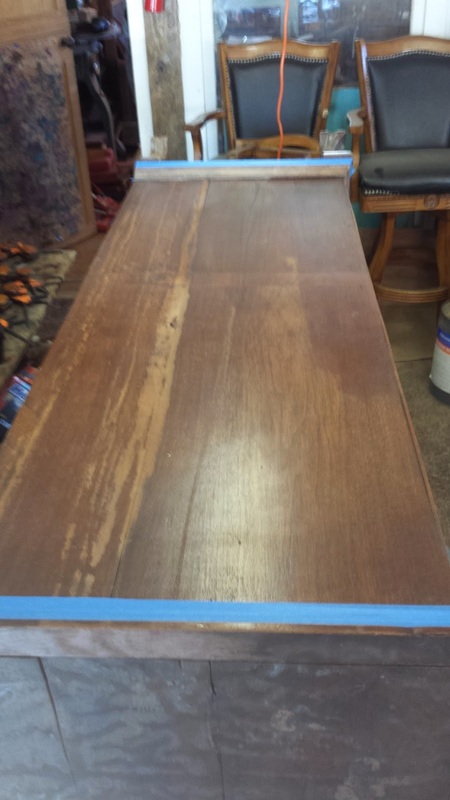 I also waxed the interior runners so that the drawers would work smoothly. After that, the hardware was put back on but left unpolished and the chest was ready to take back to the customer. Even with all of the alterations that took place over the years, this is a stunning piece of American craftsmanship and I was happy to be able to restore Mr. Downing's fine tall chest. 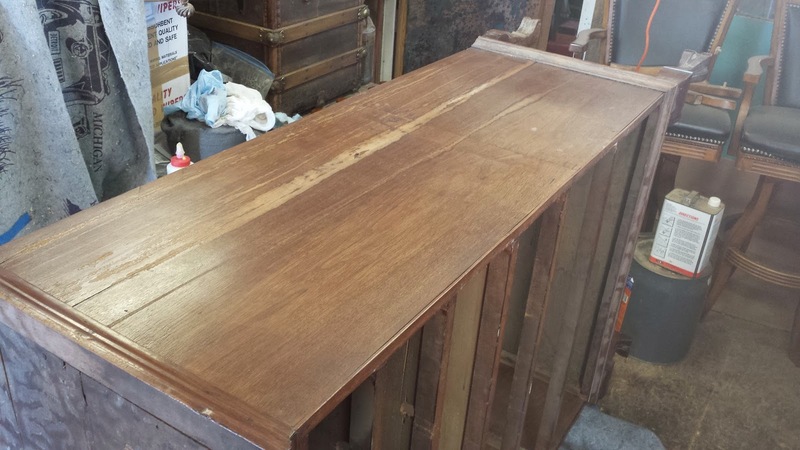 Once and a while we get a restoration job where the piece we are working on really sees a major transformation. Pieces that are painted usually fall into this category. At any rate, this piece loosely falls into the Arts and Crafts category, so that is where I am placing it! 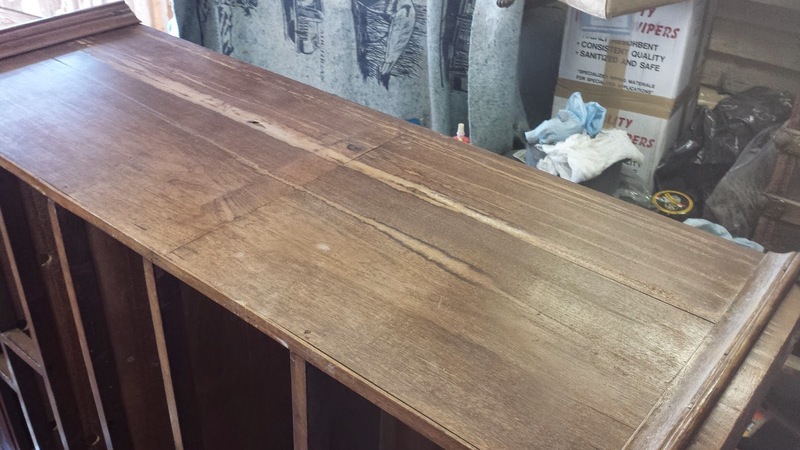 The back and the quarter round were discarded and new material was installed in its place, but first the loose joinery needed to addressed. Below are the components that make up the cabinet during the dismantling period, everything was labeled so I knew how to put it back together. 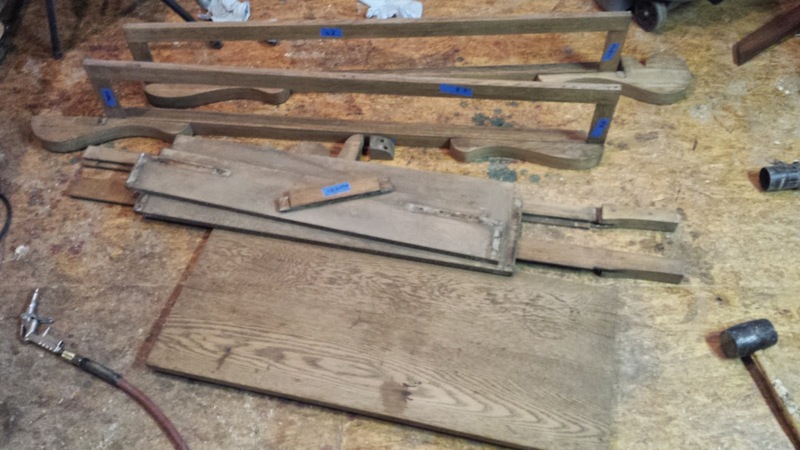 While the cabinet was apart, several panels (like the bottom and the shelves) had separated along the joined boards. they were repaired and glued, as seen below. 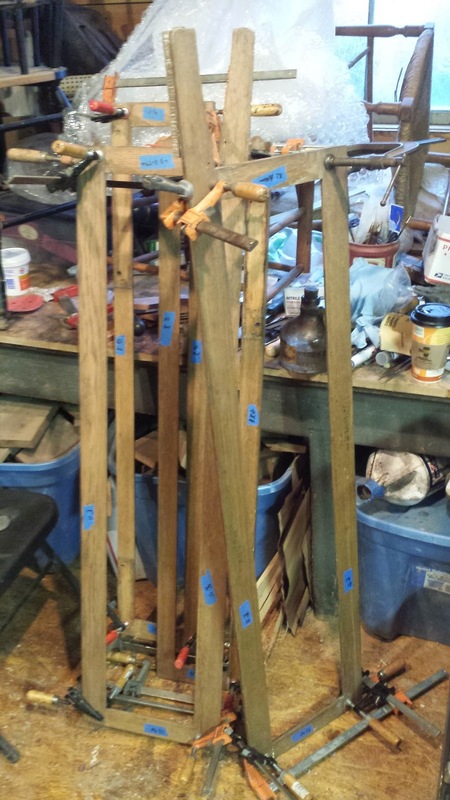 These next two photos show the fixed frames that make up the sides and the door being glued together. 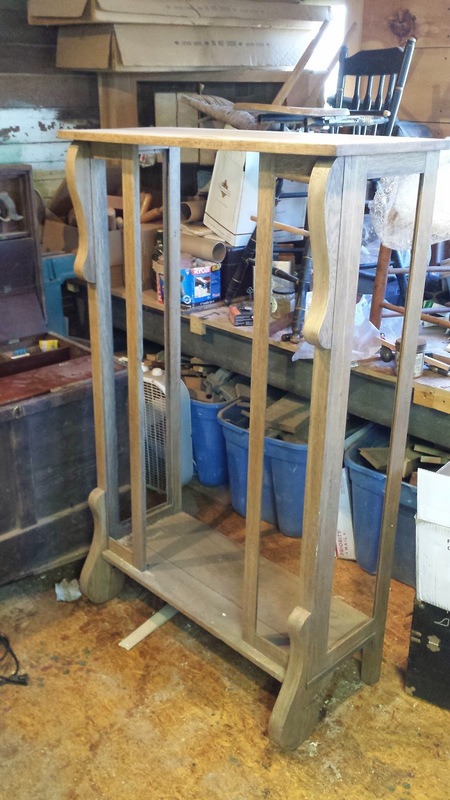 After the glue had dried on the side frames, the customer and I decided to introduce an adjustable shelf system to the piece. 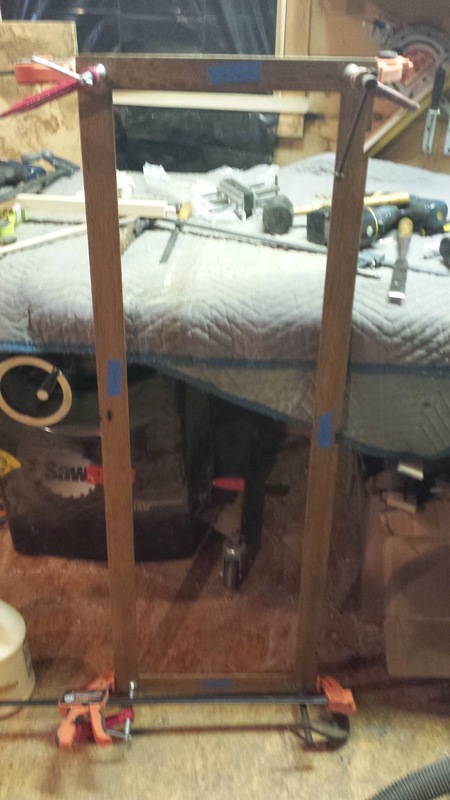 The brackets which had held the shelves originally had been fixed. 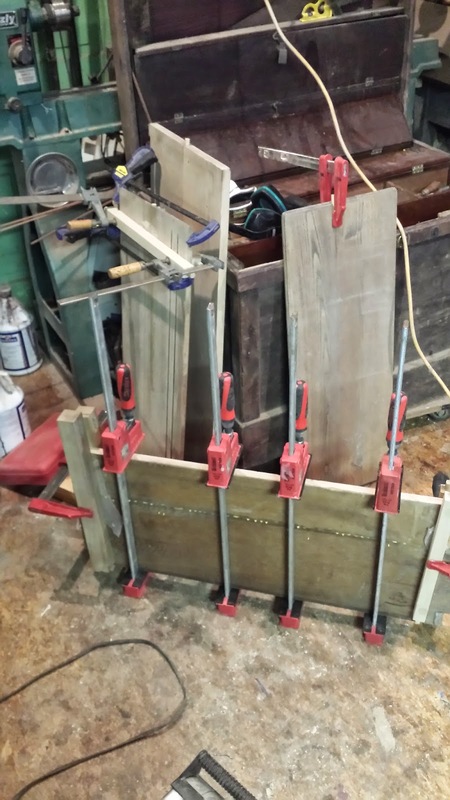 To accomplish this, I used a shelf drilling jig to drill the holes on the stiles of the side frames as seen in the next three photos. 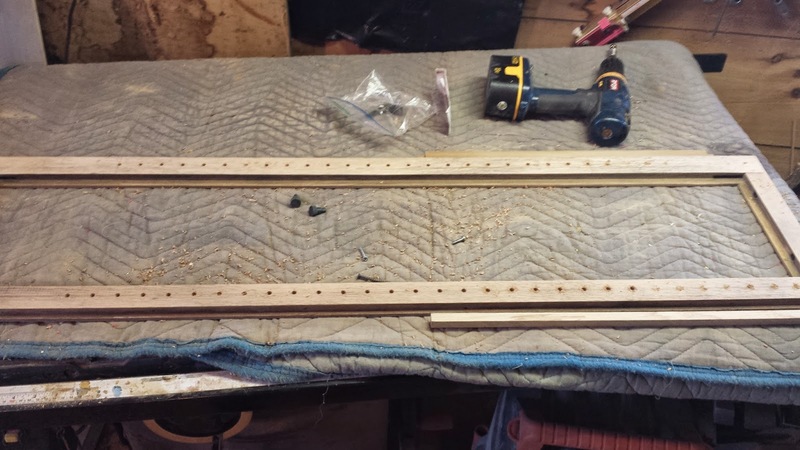 Once all of the frames were assembled, the rest of the piece was assembled with new glue. Before I assembled all of the individual parts, I sanded everything which was easier than sanding the piece when it was together. 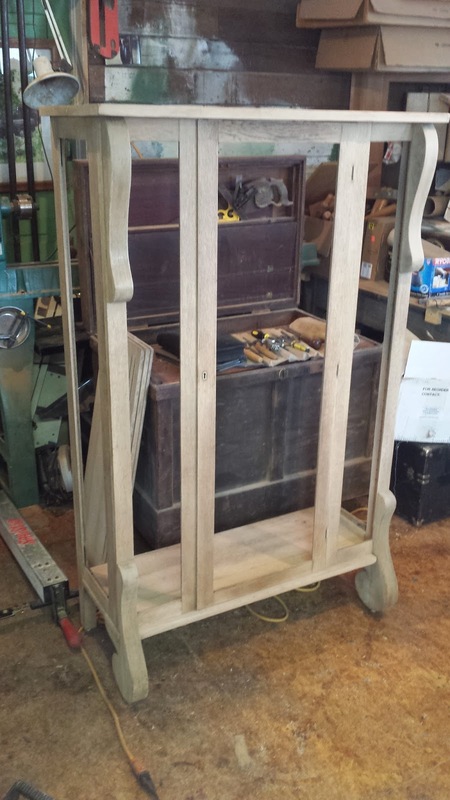 Below is are photos of the rebuilt cabinet and the shelves before staining. 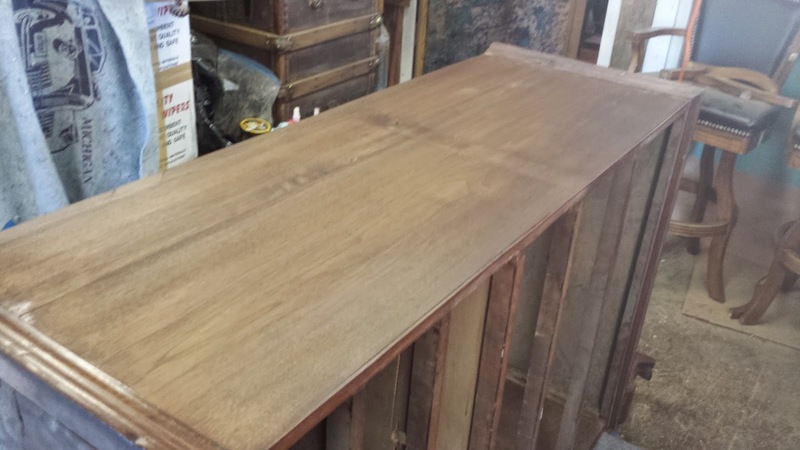 I used a blend of a light walnut and extra dark walnut stain to simulate the look of oak fumed with ammonia. This fuming was the way in which Arts and Crafts pieces obtained there color, although I have run into plenty of pieces that were stained instead of fuming. These next few photos show the completed piece with the glass installed. Here is a detail of the key and new escutcheon I installed (the lock is on the inside of the door). This photo shows one of the two corbels. 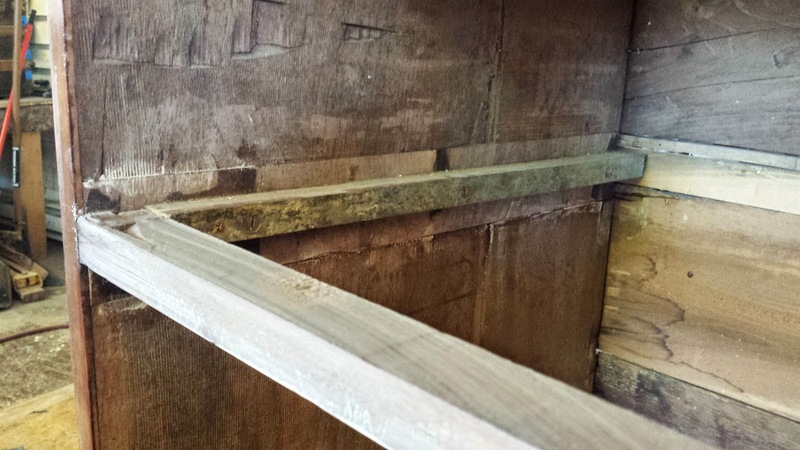 They were made of a few boards stacked side by side, which were face glued and band sawn to the curved profile. 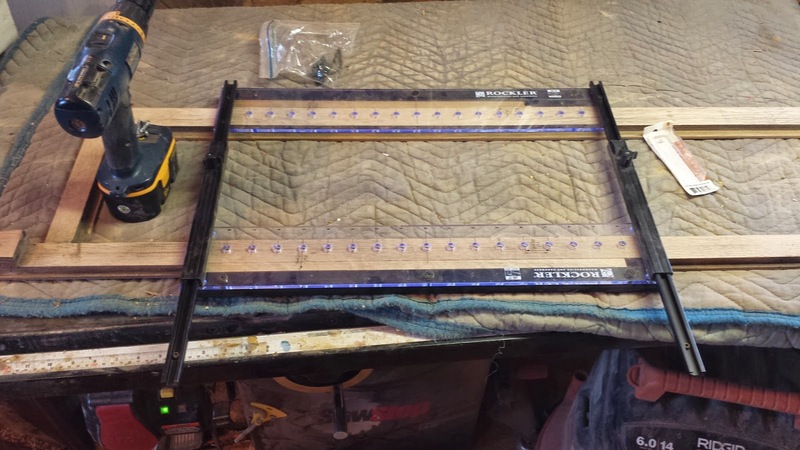 The band sawn edge was then sanded and veneered with quartersawn oak. 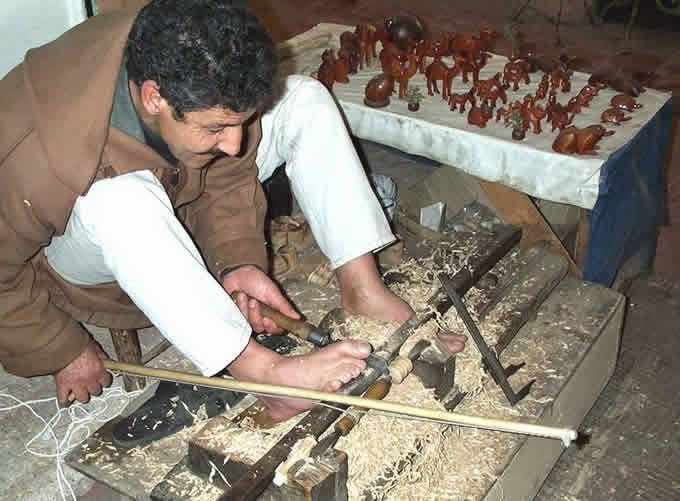 The feet were also made this way. Here are a few more photos taken outside (with a bit of snow in the foreground).